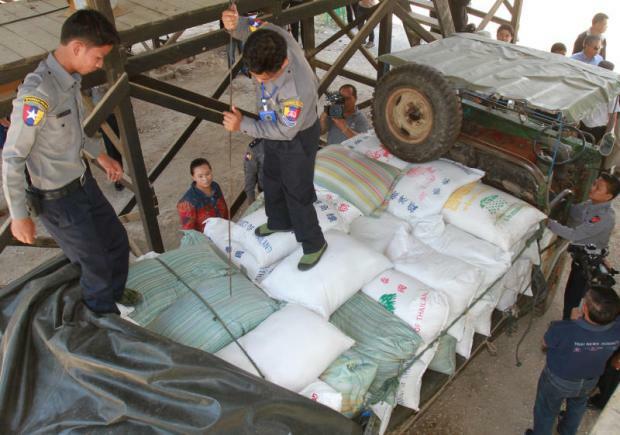 While the opening of the first Myanmar-Laos Friendship Bridge last month may bring long-awaited economic benefits, it has also raised concerns over the risk of increased drug trafficking along the route. The bridge linking Tachilek in Myanmar’s Shan State to Luang Namtha district in Laos is also known as part of Route R3B, which connects Thailand, Myanmar and China. The route links to the R3A Highway, which runs through Thailand, Laos and Xishuangbanna in southern China. The Friendship Bridge abets trafficking networks, particularly in the northern areas of Shan State where drugs are produced by several ethnic minority groups, said Pol Col Myint Thein, deputy secretary-general of the Myanmar Central Committee for Drug Abuse Control. Thailand, Myanmar, Laos and China have devised more stringent measures to battle the illicit trade – particularly precursors in drug production – under the Safe Mekong Joint Operation, a project carried out by the four governments to crack down on narcotics production and distribution in the upper Mekong region and Golden Triangle. Raids are being launched in areas near the bridge as part of the second phase of the project. 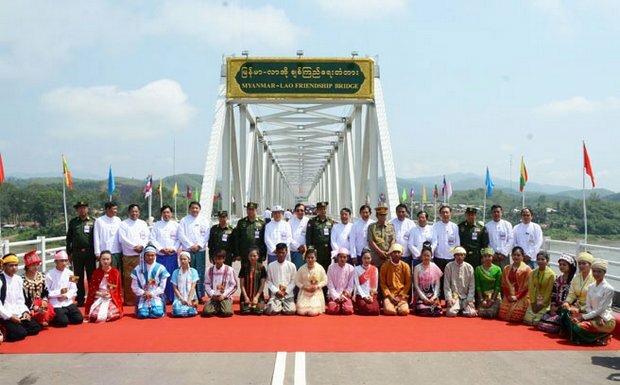 Presidents Thein Sein of Myanmar Choummaly Sayasone of Laos officially opened the bridge on May 2. Representatives from the four countries met last week to review progress on the operation at the Myanmar-Laos Friendship Bridge. They included Pol Col Myint and Permphong Chavalit, secretary-general of the Office of the Narcotics Control Board (ONCB). A local law enforcement officer, who declined to be named, said caffeine (a precursor to methamphetamine) has been smuggled across the bridge several times since its opening. A total of 21 tonnes of caffeine pills – which would have produced 500-600 million speed pills – was confiscated. Mr Permphong said the R3B and the R3A Highways are popular routes for drug dealers. “The crackdown has focused on suppressing drug precursors delivered overland and via the Mekong River. The raid will also include tracking down several drug kingpins who are now hiding in neighbouring countries,” Mr Permphong said. “Myanmar authorities also set up many checkpoints as they are on the look-out for illegal drugs,” he said. Mr Permphong added that since Myanmar authorities use outdated technology, they can sometimes fail to detect illegal substances. “Thai authorities will supply them with the necessary equipment,” he said. 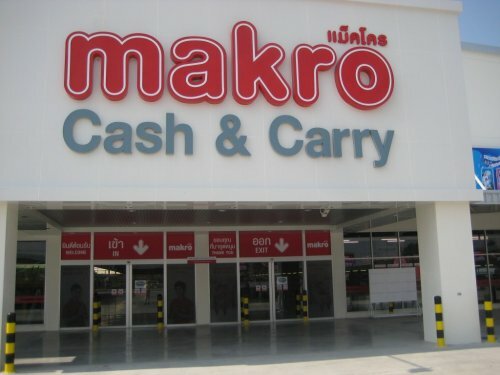 Roughly 20 million baht is earmarked by Thai authorities for the inter-border crackdown operation conducted by the ONCB, which will last until September, according to Mr Permphong. Justice ministers in Myanmar, Thailand, Laos and China have also decided to expand the target areas for drug suppression activities in their own countries this year. For example, areas along the northern border of Thailand will have heightened surveillance while Chinese authorities will tighten measures in Yunnan. Laos will also expand its drug suppression drive over Bo Kaew and Luang Namtha districts. Mr Permphong also voiced concern over the deteriorating situation of drug trafficking in Thailand, with a recent increase in the amount of smuggling. The border passes in Chiang Rai and Chiang Mai are the main transit points, as these two provinces are situated close to production and trafficking areas of Myanmar, he said. Drugs also slip into Thailand through the Myanmar-Thai border in Kanchanaburi’s Sangkhla Buri district in the west. ”We will implement stronger measure intercept the drugs,” said Mr Permphong. The Myanmar government is also targeting drug production labs and trafficking bases, though the remote and mountainous geography of the northern states makes this a challenging task, said Pol Lt Than Shew, supervisor of the Anti-Narcotics Units. Several narcotics production bases are located deep in the forests with no road access. Those areas are also heavily guarded by armed men, Pol Lt Than Shew said.